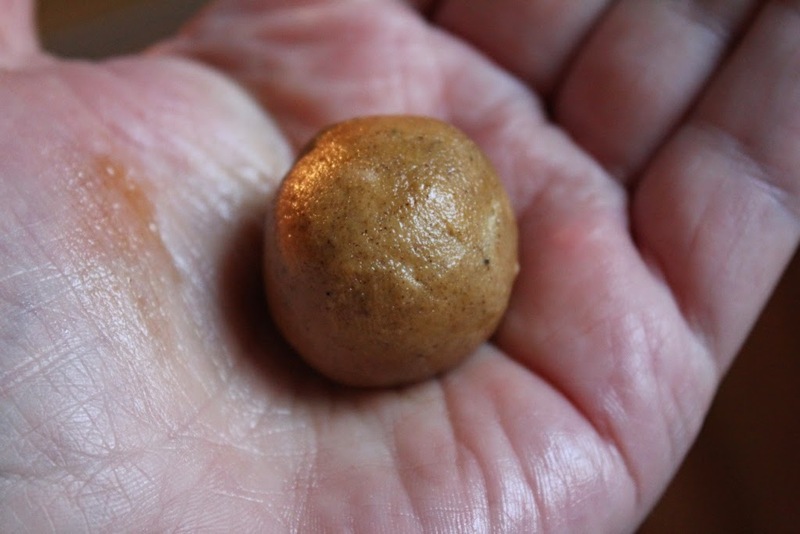 How does a person come up with a great cookie and an amusing name? Play darts on a Monday night of course. As I am sitting with one eye on the play and one eye on my Twitter stream (yes, I am that good at multi-tasking - my eyes see all), I read about a Crosby's Sweet Dreams Cookie Contest. 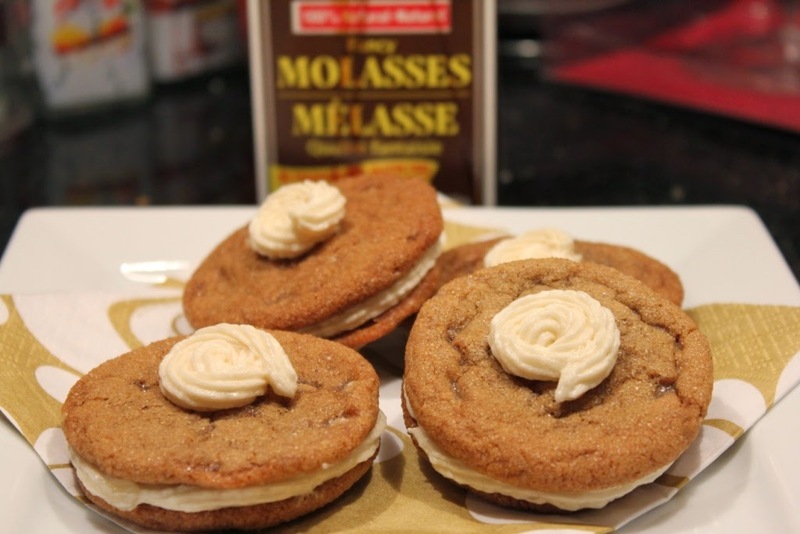 I use molasses in bread, cookies, "lassie buns" - most of which are recipes used by my family and handed down for years. 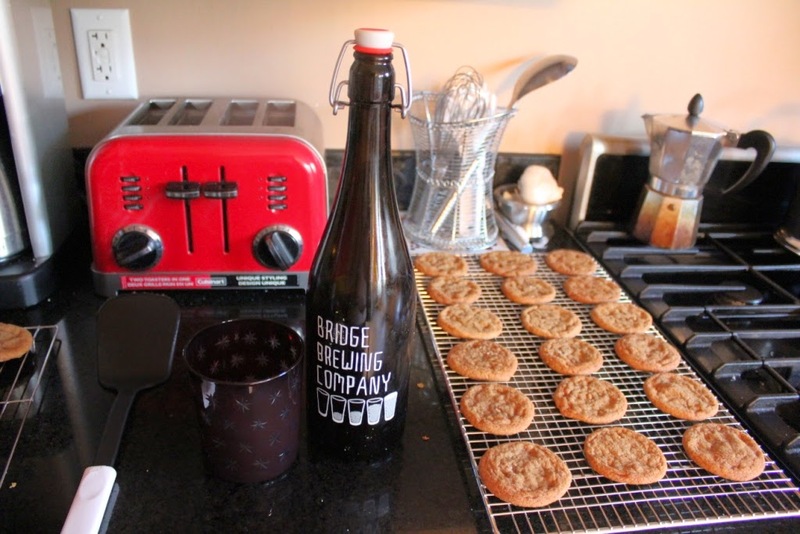 I thought this might be a fantastic chance for me to develop my own cookie recipe and share it (but mostly eat... I mean test, the results). What makes a stand out cookie in my mind? A salty, buttery, sweet balance that blends so well that it's like a flavour bomb ignited in your mouth. 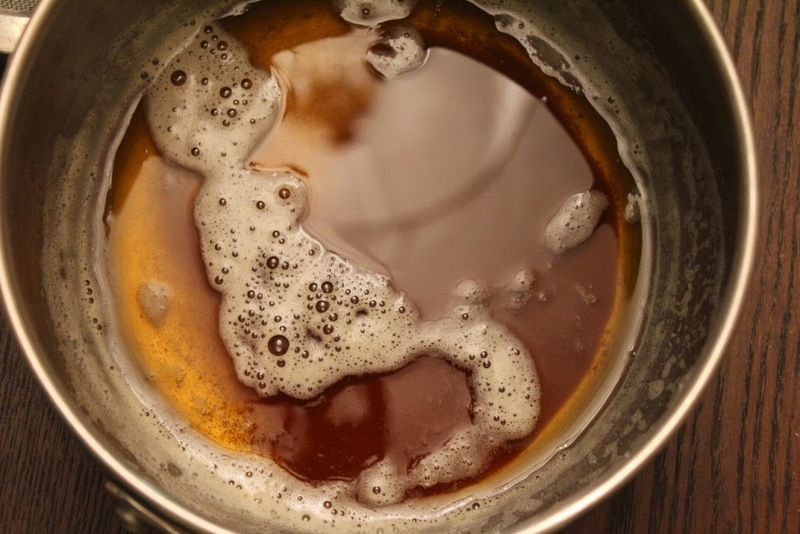 Now you will notice that this recipe calls for beer. This is entirely optional and can easily be substituted with strong coffee. Either way, by the time you send the kids to school, you'll need either a strong beer or a strong coffee (depending on your preference). As I worked through the recipe in my head while playing darts I asked around about the addition of beer which was met with applause and enthusiasm... SOLD! The beer stays. 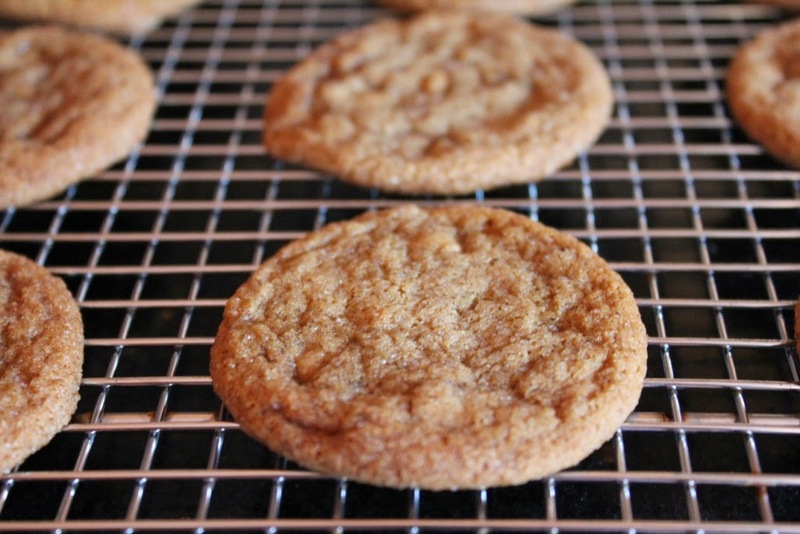 The flavours in the cookie (browned butter, molasses, pungent spices) needed a balance so I thought adding toffee chips would give it a complimentary sweet addition. Now a sweet frosting? Really Lori? Why? 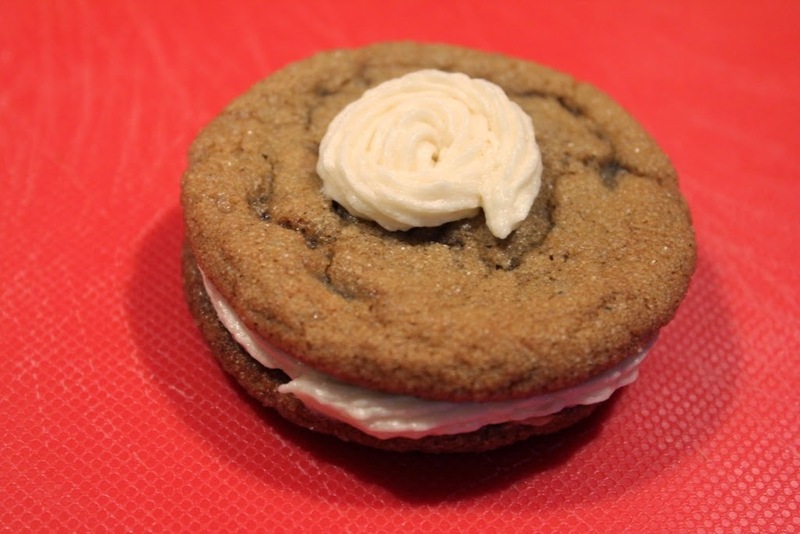 I thought it would be fun to sandwich the cookies and then add a frosting bullseye to the top. Am I wrong? I think not! 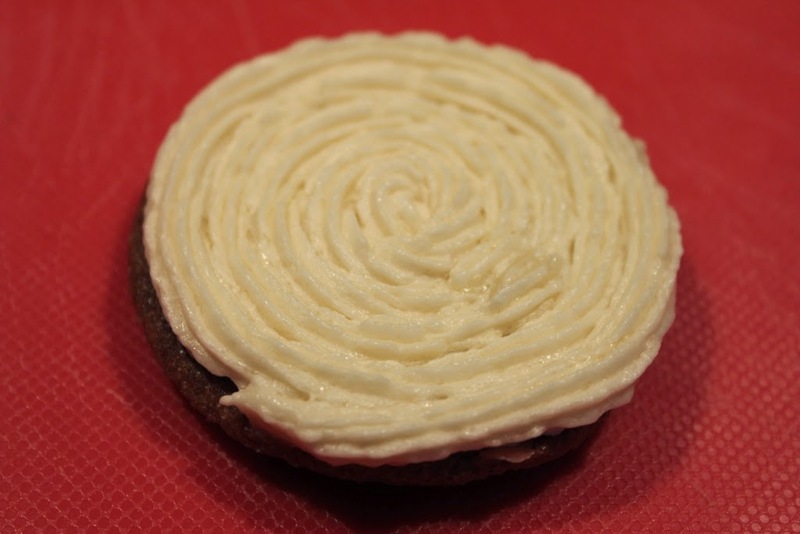 Truth be told, this frosting isn't overtly sweet so I think it's the perfect addition. 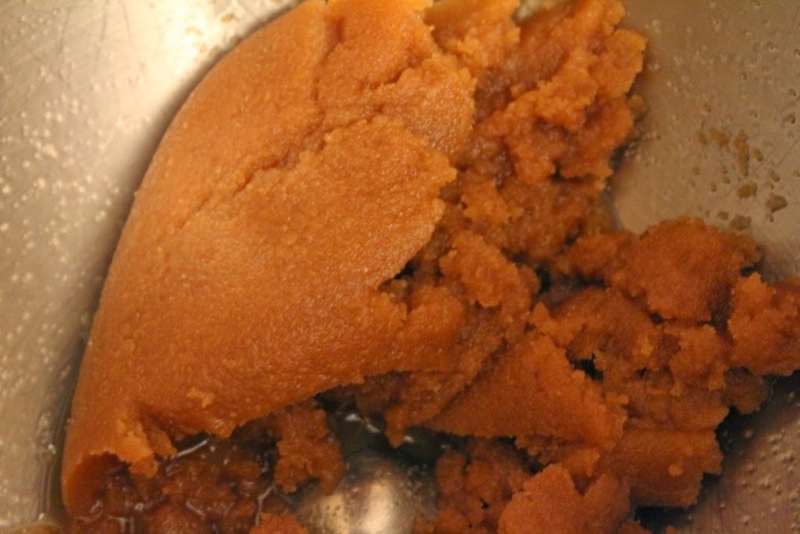 It was introduced to all in my Newfoundland Molasses Cake recipe, shared generously with me by my friend Sara Case Strickland. To be perfectly honest... The cookie is completely enjoyable on its own without the icing. But I went for it! Strap in, taste test away and have fun! 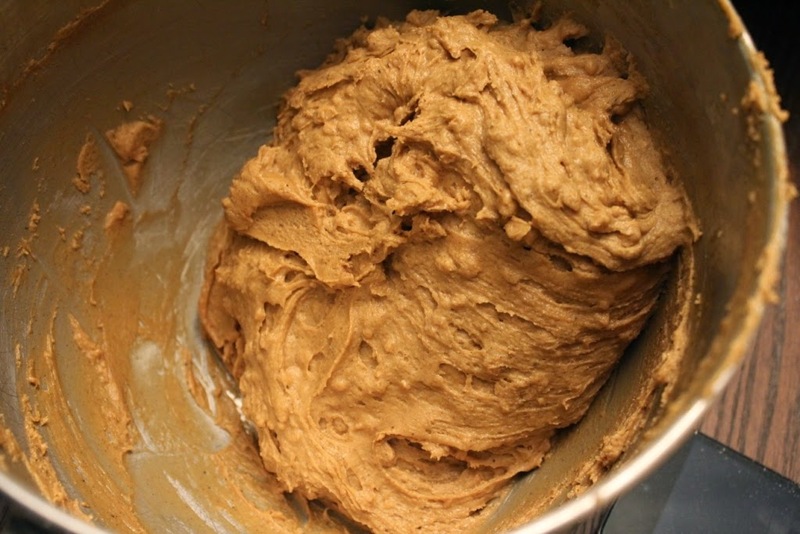 First up, I do NOT preheat the oven as I let the cookie dough refrigerate for a couple of hours (or even overnight for optimum flavour). 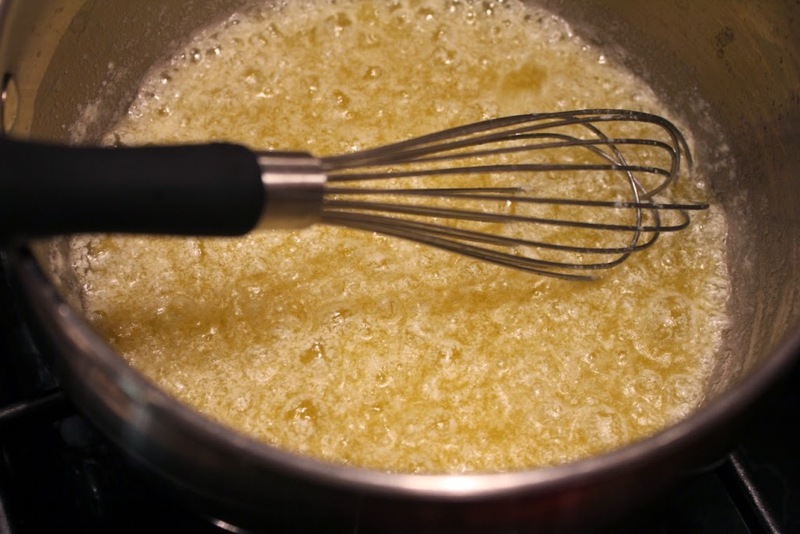 In a mixing bowl, beat the browned butter, brown sugar and canola oil until well combined. 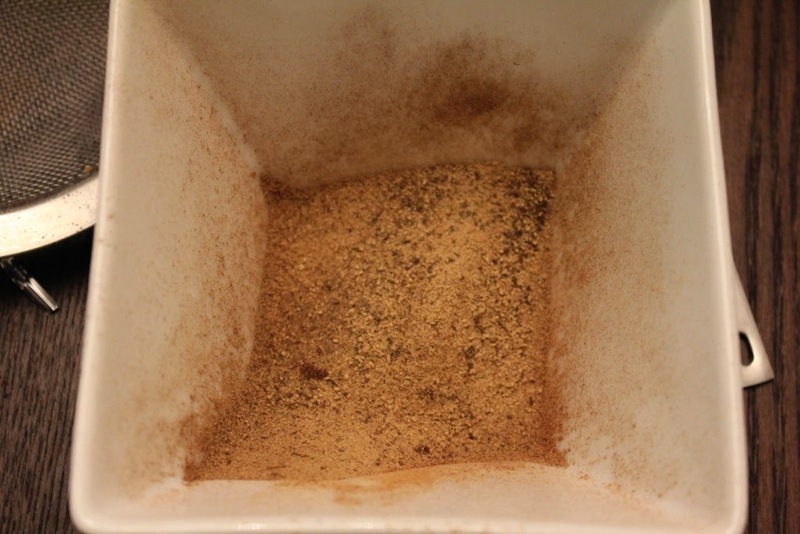 Sift the 4 spices together (cinnamon, ginger, clove and allspice) and mix through. Add salt and baking soda. 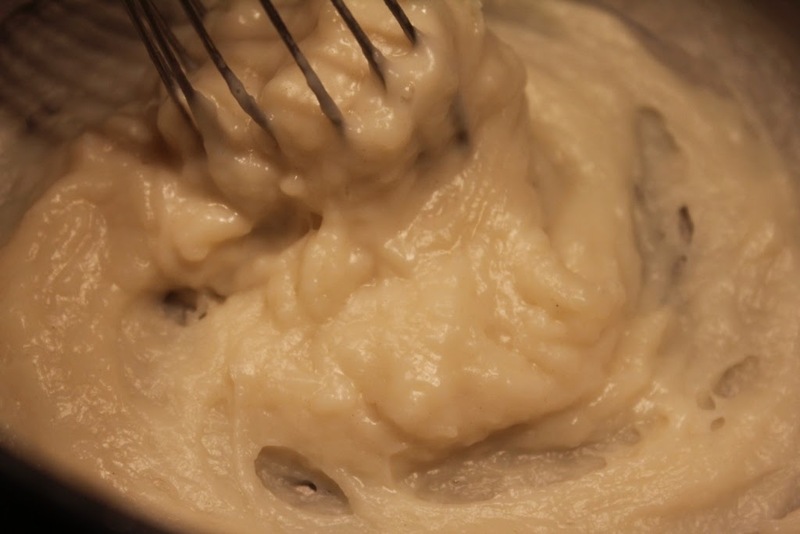 Sift the flour and corn starch together and add in 1/2 cup increments, mixing only until combined each time. 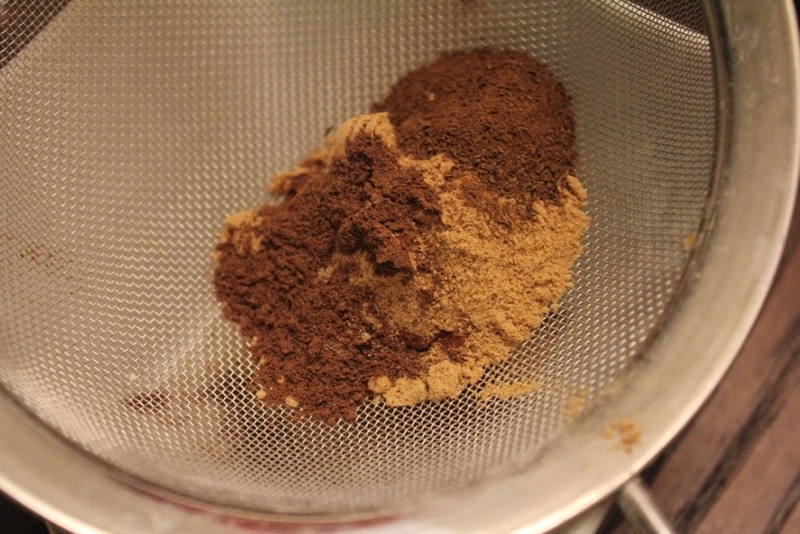 Add toffee chips and mix by hand until mixed through. Cover with plastic wrap and set bowl in fridge. Minimum of 3 hours but overnight is better. 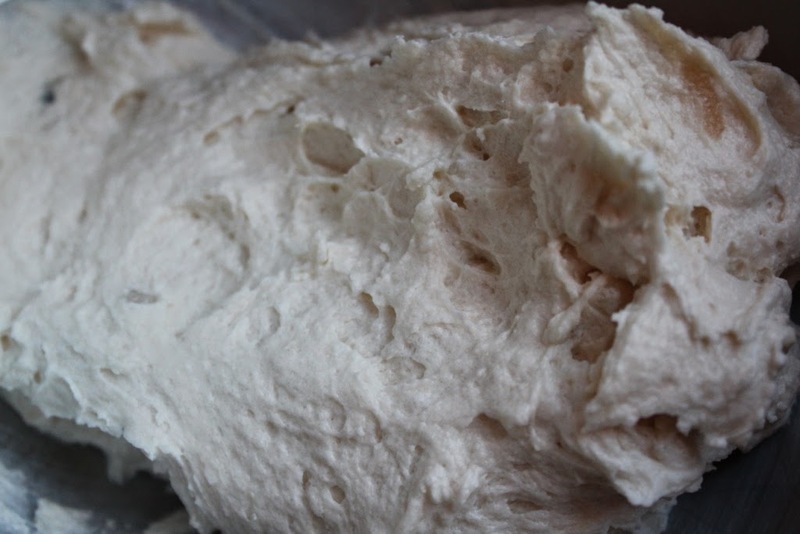 You will notice that the dough is not extremely stiff. Don't worry, the refrigeration will take care of that. 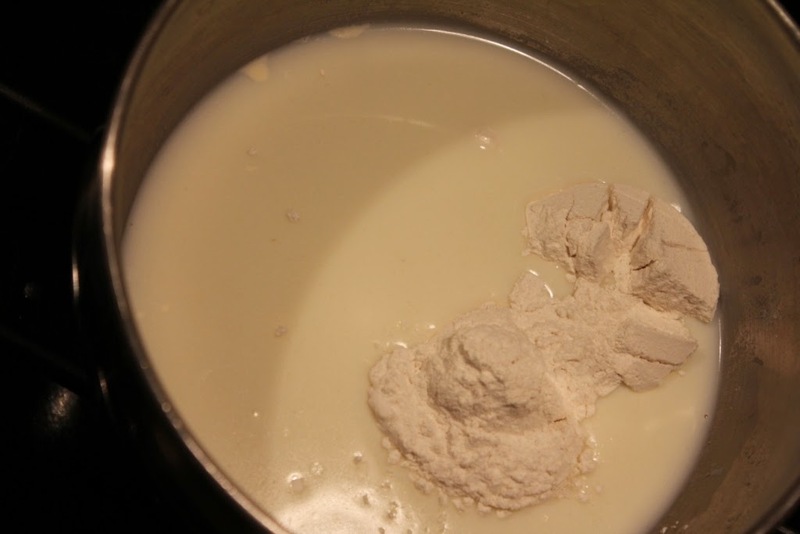 Put flour and milk in a saucepan and cook over medium-low heat until the consistency of porridge. Stir constantly! Mine took about 5 minutes. Remove from heat and set aside to cool completely. I recommend even covering it with plastic wrap and refrigerating it for a few hours (or overnight). Preheat oven to 350F (or 325F in a convection oven). 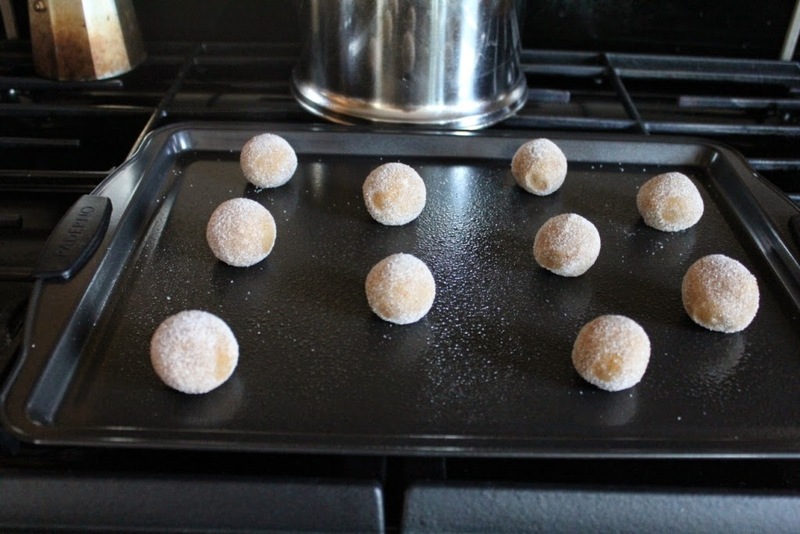 Remove dough from refrigerator and prepare your cookie pans. 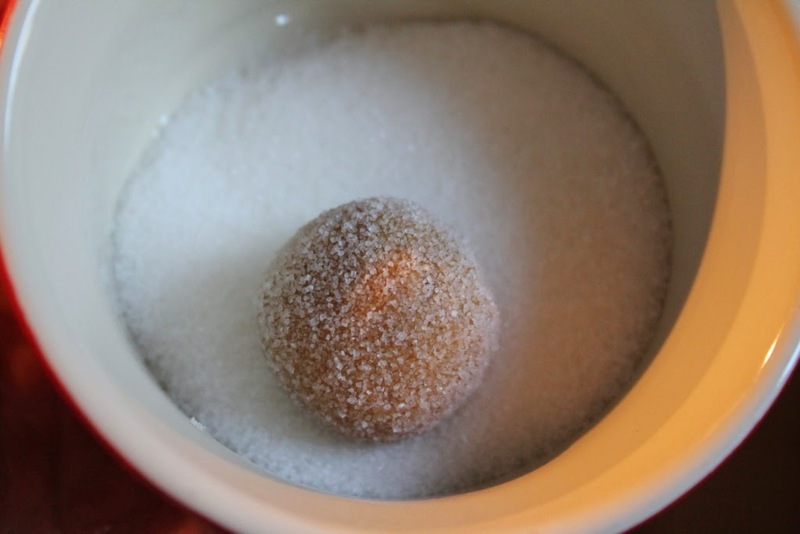 Have a small bowl with approximately 1/4 cup of white granulated sugar for rolling. 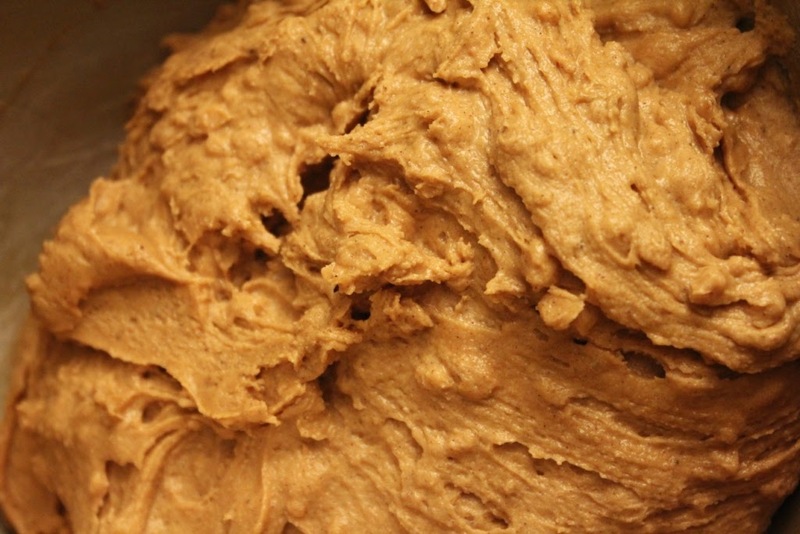 Take a generous teaspoon (or a smallish scoop) of dough. 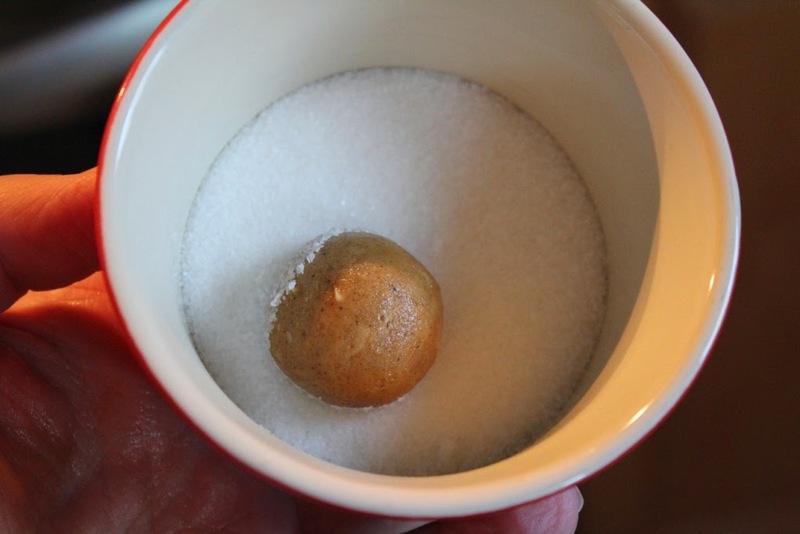 Roll between your hands to form a ball and then roll in sugar. Place on cookie sheet (about 12 per standard sheet) and press lightly down on them so they don't roll off. Bake in the oven 8-10 minutes until cookie looks slightly less than done. They will be whisper thin. Take pans from oven and leave on cookie sheet for 2 minutes. 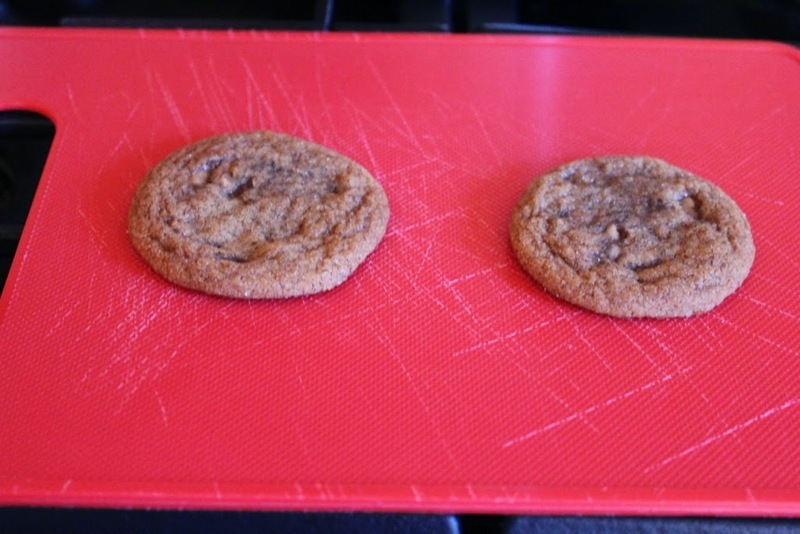 Remove cookies and allow to cool completely on cooling racks. 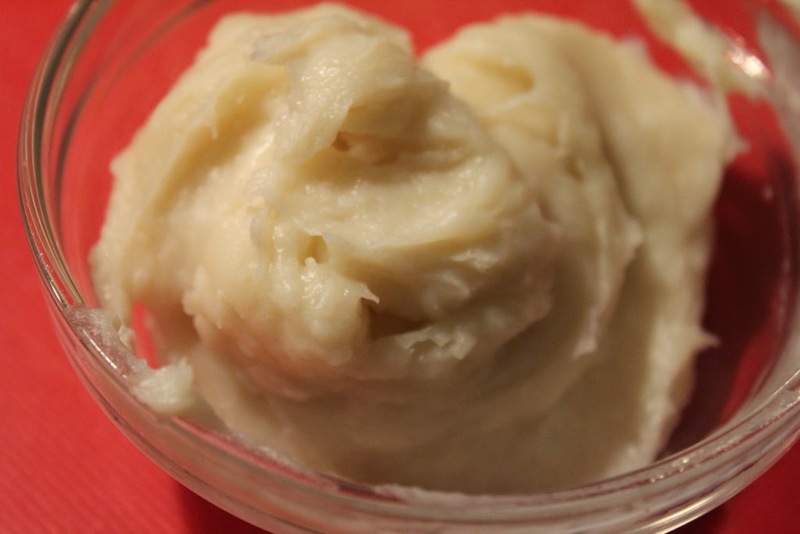 Cream together Butter/Shortening and sugar until light and fluffy. Add vanilla and mix. 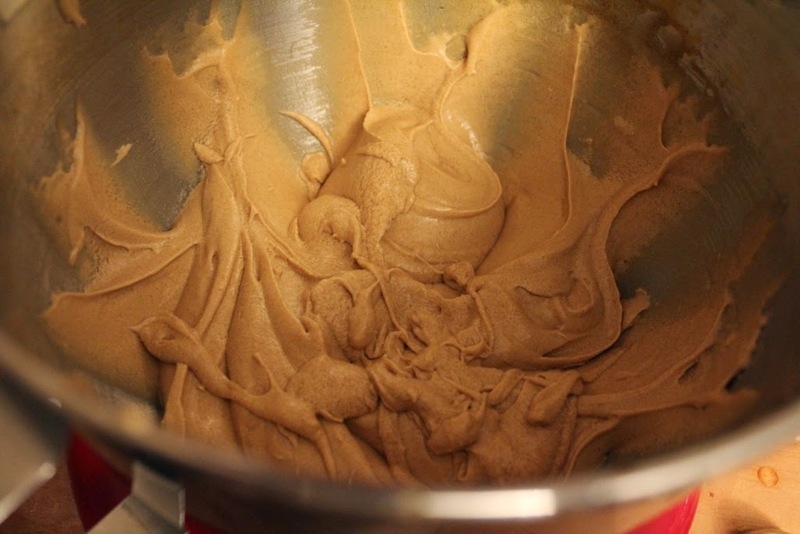 Then add cooled Frosting Paste and mix completely. It should look white and airy. I was unsure how much the cookies would need so I actually doubled the recipe. I had a fair bit left over so I don't think it was really necessary - meh... I like frosting by spoon too! 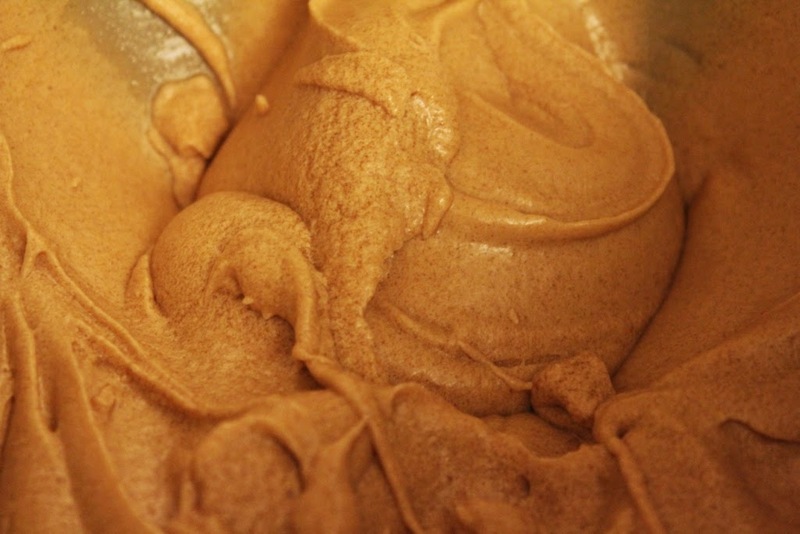 This isn't an exceedingly sweet frosting, not those buttercremes from the store that make your teeth hurt. 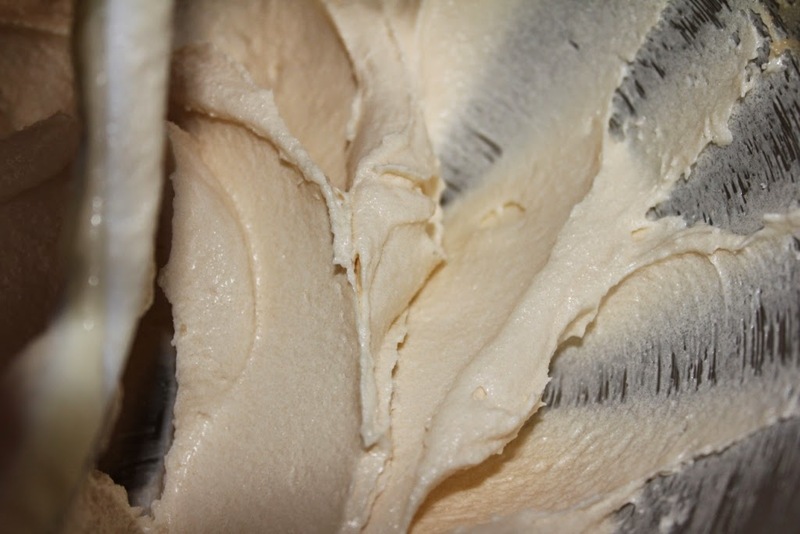 Take a bottom cookie and pipe (or smear) some frosting on the bottom side. Gently press a top cookie on the frosting. Then take a small dollop (or with a pastry bag) of frosting and swirl a circle (aka the bullseye) Return to cooling rack to set. That's it! A cookie to win awards (or at least my dart leagues' hearts)! 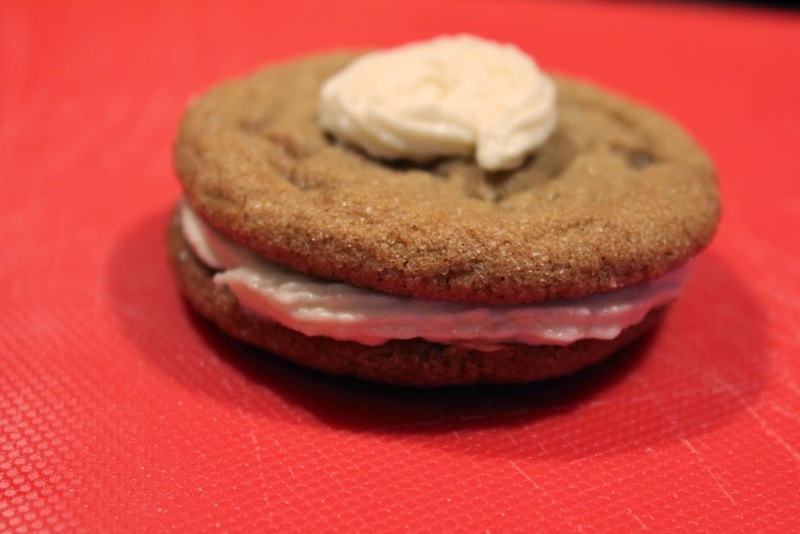 It makes about 2 dozen cookie (sandwiches). Post Script - I brought them into the office today and the quote was... "I think you've hit it out of the park on these cookies!!"